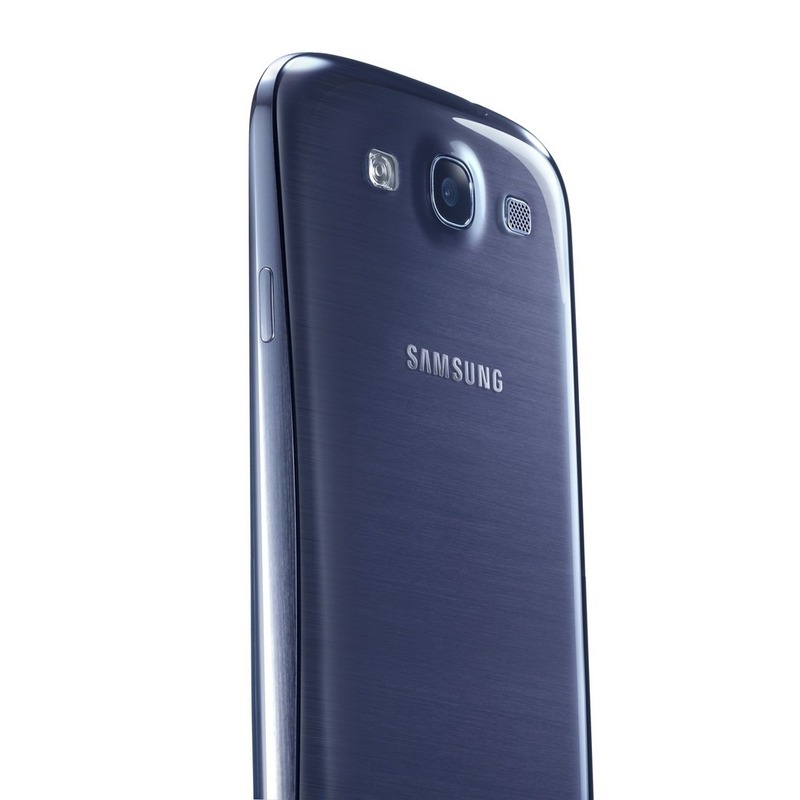 There's no doubt that the Samsung Galaxy S III is the best phone on all four major carriers right now. If you're considering picking one up on Big Red (despite its locked bootloader), you can now score the 32GB version in white or blue from either Amazon Wireless or Wirefly. Yeah, we know: it's a tough choice. First you have to decide which color to buy, then which vendor to buy it from. To make it easier, you could just do a couple of coin tosses. Maybe you'll end up with white from Amazon Wireless. Or perhaps the blue one from Wirefly. 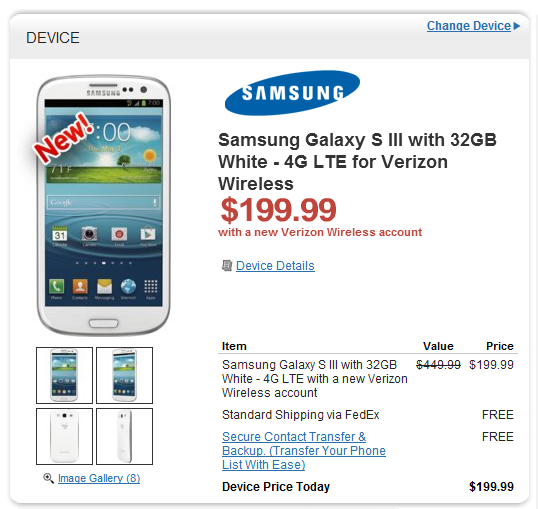 Either way, you'll still have a 32GB Galaxy S III on Verizon for $199. 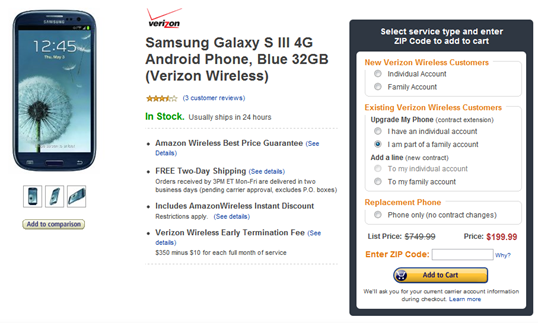 Given Verizon's $250 price tag, that's a good deal no matter how you slice it.